Hi Everyone, Happy Wednesday!! Today I have for you a quick, easy breakfast that will take you through this week, even maybe even next week. It’s so simple, healthy and oh so good!! I bring to you my Individual Oatmeal Cups. 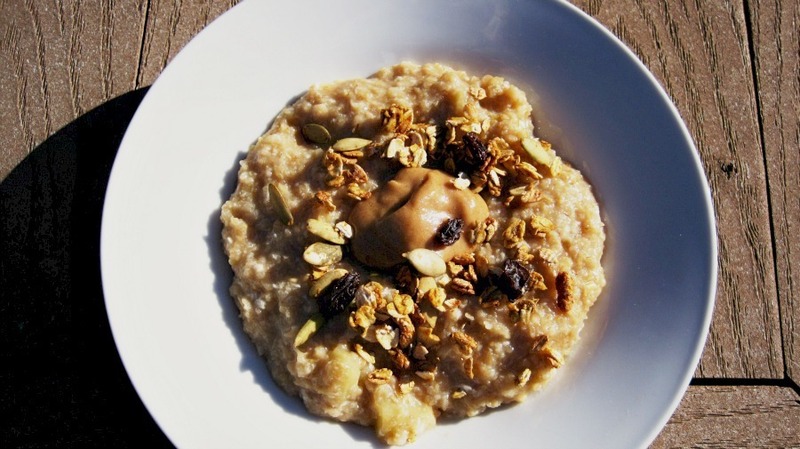 Did you know that January is National Oatmeal Month? Oddly enough I just found out about a week ago. This month I think I have actually had more oatmeal than normal. I think it’s a winter thing? It’s warm, comforting, filling and so adaptable with all the different fillings. I just love it!!! I decided to make individual oatmeal cups because I wanted something that I can grab and go while on my way to work. I love breakfast, but during the week I just don’t have time to make it. With this recipe you can make a big batch, freeze it and when it’s time, grab a cup and run right out the door. I need that considering I get up at 3am everyday!! Ugh!! I decided that I didn’t want to have the same oatmeal everyday, so I used different toppings for my oatmeal. 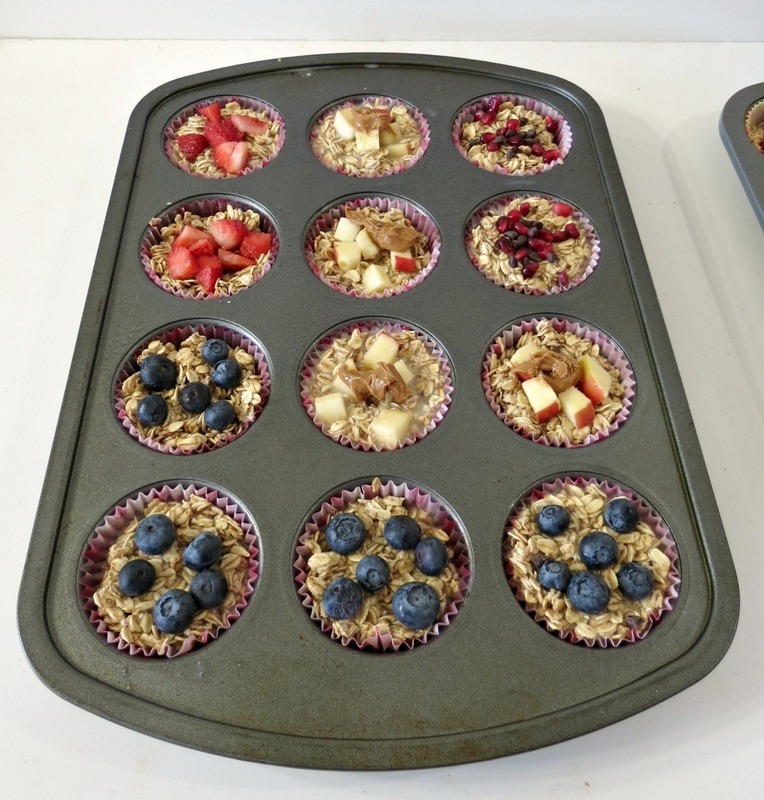 I made one big batch of the same oatmeal and when I put them into my muffin cups, I added different toppings. 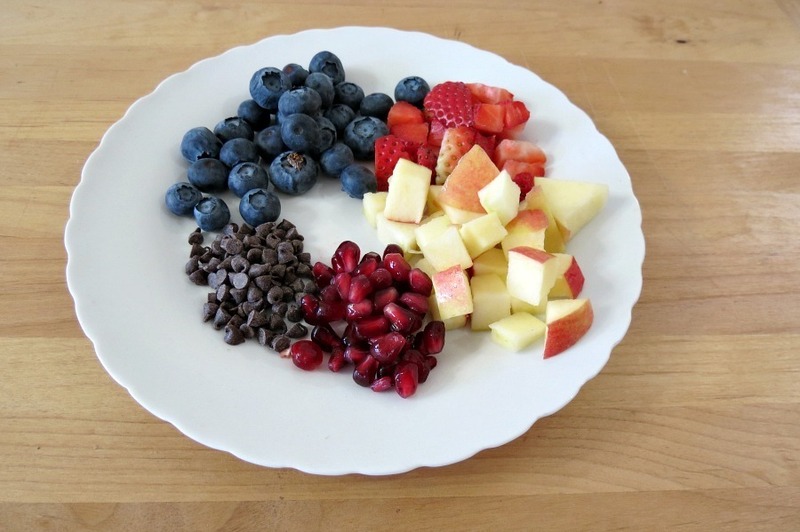 I did plain blueberry, raspberries, pomegranates and chocolate chips, apples with peanut butter and plain strawberry. Makes for a nice variety and you won’t have the same breakfast two days in a row. To make my batch of oatmeal, I used 5 cups of gluten-free oats from Trader Joe’s, real maple syrup (you gave me slack about using sugar-free :)), ground flax seed, 3 egg whites and a big tablespoon of cinnamon. Mmmmm, I love cinnamon in my oatmeal!! And 3 cups of non-fat milk! I mixed it all together and spooned into muffin cups. Be sure to spray your muffin cups or the oatmeal will stick, plus I found you shouldn’t over fill the muffin cups, otherwise more sticking! 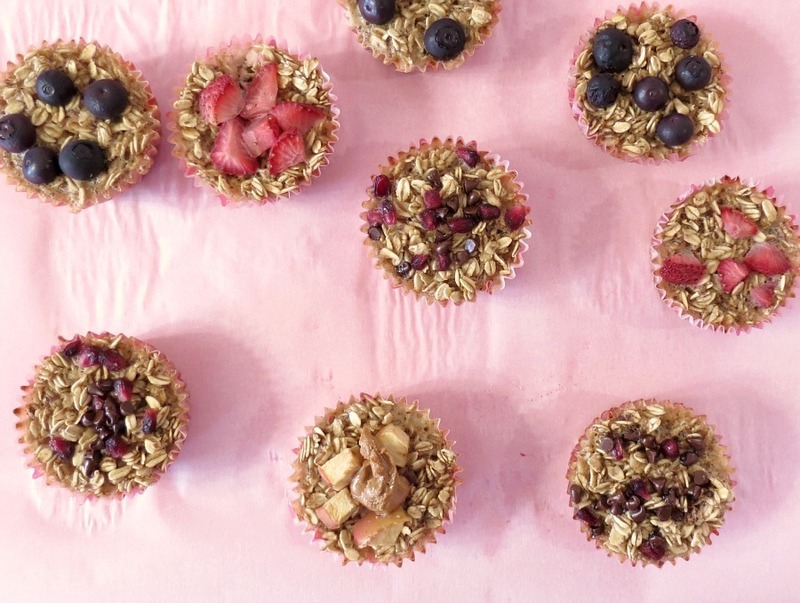 This recipe makes for 24 individual oatmeal cups. This recipe would also be perfect for using in jumbo muffin cups!! 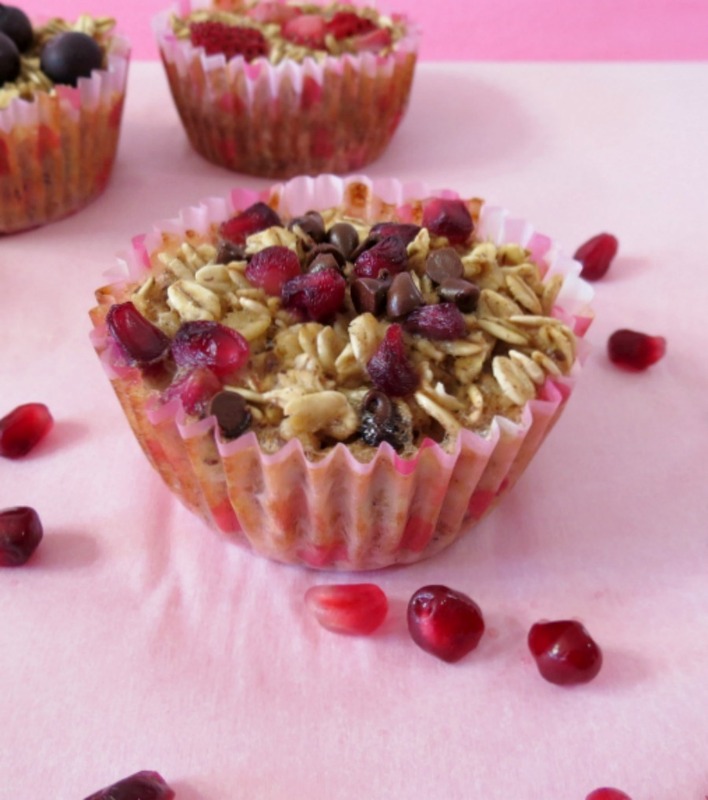 I have to say my favorite oatmeal cup I made was with the pomegranates with the mini chocolate chips. Darn they are good!! When I calculated the calories for this recipe, I didn’t include the toppings because I think everyone likes different toppings on their oatmeal. 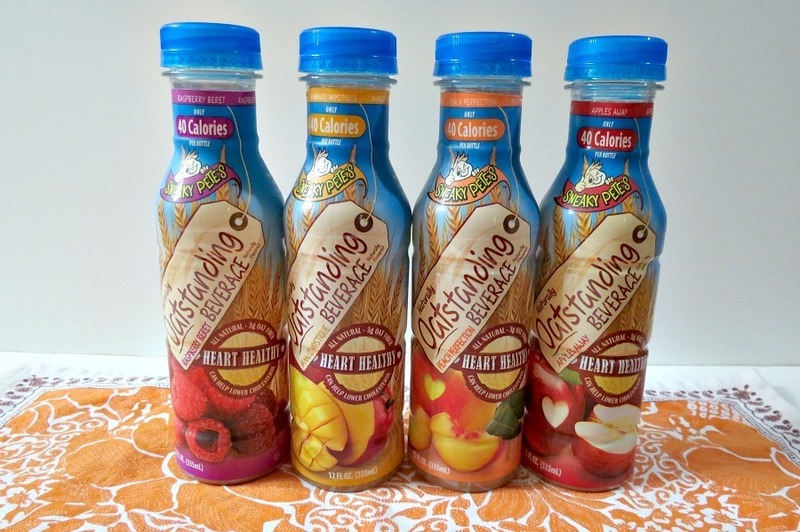 Each oatmeal cup without the toppings come in at 90 calories! Perfect!! You can have an oatmeal cup and a big cup of yogurt and you have yourself a healthy, filling breakfast!! Loves it!! Since its National Oatmeal Month, I received a sample of Sneaky Pete’s Naturally Outstanding Beverage. Honestly I’m not one to drink anything but coffee, unsweetened tea and water, but when I heard there was 3 grams of fiber, 5 grams of sugar and only 40 calories a bottle, I had to try it. I have to say I am pretty impressed. My Husband who doesn’t like anything remotely healthy, loved them and asked when I was going to buy more. His favorite is the apple and mine was the raspberry. I have been drinking these as my afternoon snack. It gives me enough energy to get me home during my commute, plus I’m not starving when I walk in the door, so I don’t eat everything in site! Hmmm, I wonder how they get oatmeal in a bottle? The liquid is pretty clear! You can check out Sneaky Pete’s Beverage right here or you can stop by there Facebook page and say hi! Tell them I sent ya! 🙂 I bet you could even sub the milk in my individual oatmeal cups with a bottle or two of Sneaky Pete’s, darn it, I wish thought of that when I was making it!! It would have made an awesome flavor!! Oh well, next time! In a bowl, add egg whites, vanilla and 1/4 cup maple syrup. Whisk together until incorporated. Add oats, ground flax seed, salt, baking powder, cinnamon and mix until combined; add the milk; mix until combined. 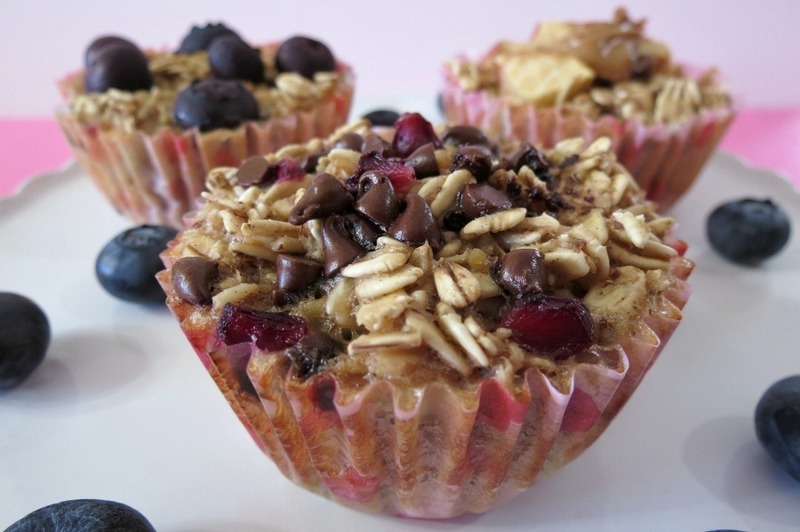 Spoon into prepared baking cups and top with whatever toppings you like. Just remember don’t over fill the muffin cups, especially if your putting toppings on it. Bake in oven for 25 minutes or until oatmeal is firm. You can freeze the oatmeal cups and take out the night before to have it in the morning. You can also microwave the frozen cup or eat right from the oven. optional Toppings: Apples & peanut butter blueberries, strawberries, chocolate chips & pomegranate seeds. I have to tell you I am pretty stoked about this recipe. Now I don’t have to think, what can I have for breakfast? My only problem I’ll have, is what topping do I want? Since it is National Oatmeal Month, I thought I would share with you some of my past favorite oatmeal recipes. Oh and one last thing, I’m playing around with my camera, trying to be a better photographer, so forgive the pictures, I’m working on it! 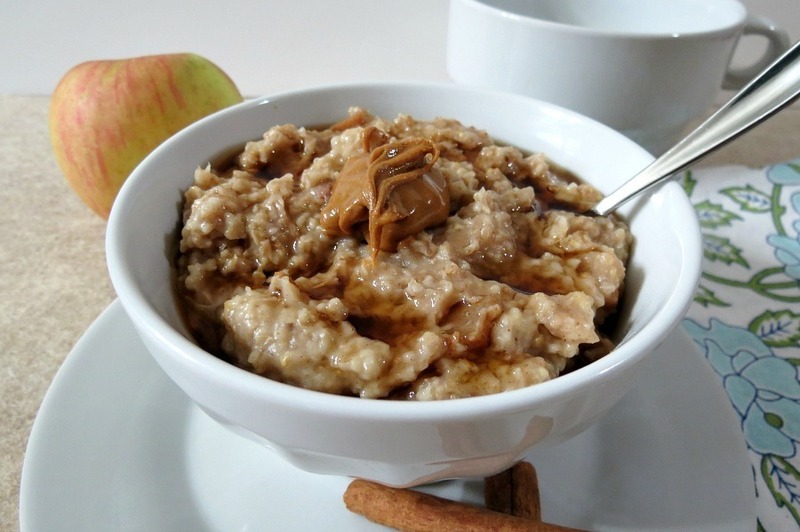 Apples and Cinnamon Oatmeal in a Crockpot – You must make oatmeal this way, simply amazing!!!!!! Well that’s it my Friends!! My question for you, is What do you like to put on your oatmeal? P.S I just received a message from Sugar Free Mom and she has a recipe like this one that’s a bit different. She has a great blog and lots of different healthy recipes. Stop by see her individual oatmeal and check out her other good for you recipes!! I always put toasted crunchy pecan butter in my oatmeal. Oh my yumm!!! This recipe looks delish and I can’t wait to try it!! Thanks Sally and thank you for the post oh photography! I took your advice and I’m trying to be better with photos!! I love that you’ve used a variety of different fruit toppings. I’ve made something similar in the past for breakfast and it’s really such a perfect grab and go! I agree! This comes in handy, especially when I’m running late in the morning! PERFECT breakfast idea! Love this one!! Hi, you’re messin cups look delicious, but I’m a little confused as to how you made them. Did you just make the oatmeal, spoon it into the muffin cups and then freeze them with the toppings on or was there any baking involved? Hi, I made the oatmeal, scooped into the cups and than topped it with my toppings and baked for 25 minutes. You can freeze wit the toppings. Hope this helps. Hi, these muffin cups look great but I’m a little confused as to how you made them. Did you just make the oatmeal, put them in the muffin cups, and freeze them or was there any baking involved? These are awesome! Wow, I could eat some of these cups anytime of day and love all of the different ideas for how to make them so flavorful and healthy. I know, it’s hard to just eat one! Glad they are healthy!! 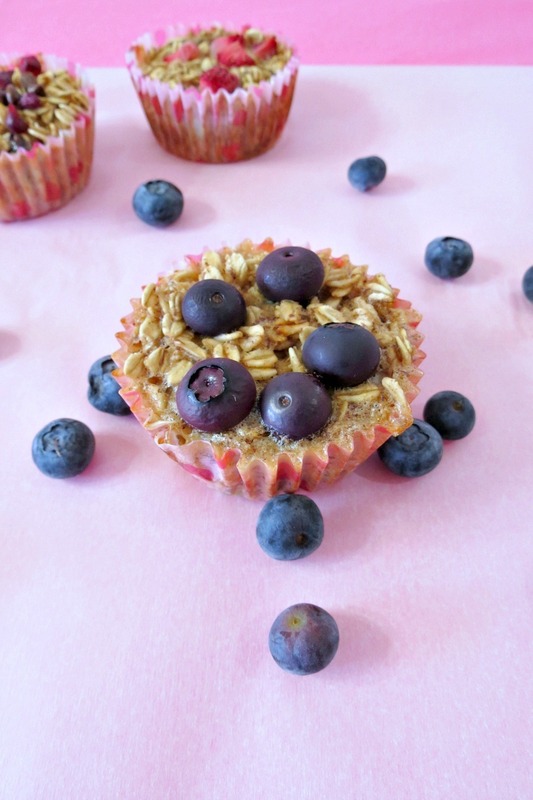 I got out of my oatmeal habit recently but these oatmeal cups are just the thing to get me back into it! Plus I bet they’d make for great mid-day snacks! I’m really happy with them and do make a nice snack! Hey, you won my giveaway, send me an e-mail! Those drinks sound delicious! I’m not like you, I love trying new flavored drinks and concoctions but it’s crazy how many calories and sugars can be in a little bottle of juice. Even Naked Juice and Bolthouse Farm is packed with calories. I may have to check these out! Gotta love oatmeal 🙂 I had some chocolate oatmeal with raisins on top for breakfast his morning, yuuuuummmm. I know what you mean about juices! I’m pretty glad I got these to sample them! I need to find more! I love how you did different ones!! So yummy!! Thanks Tara! Yah, I like to change it up so it’s not the same thing everyday! These are such a great idea! 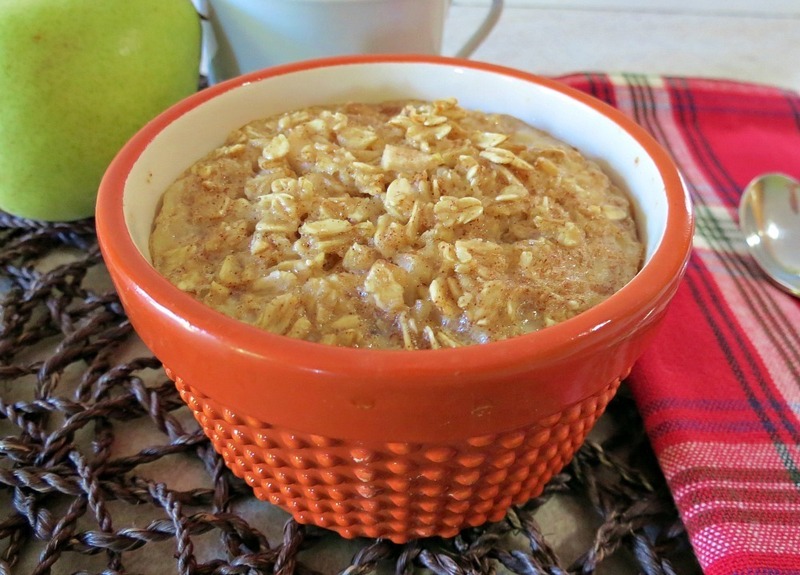 The perfect way to enjoy oatmeal on the go! Thanks Stephanie! It’s amazing how simple it is too! These are the cutest little things ever!! What a great idea/recipe! 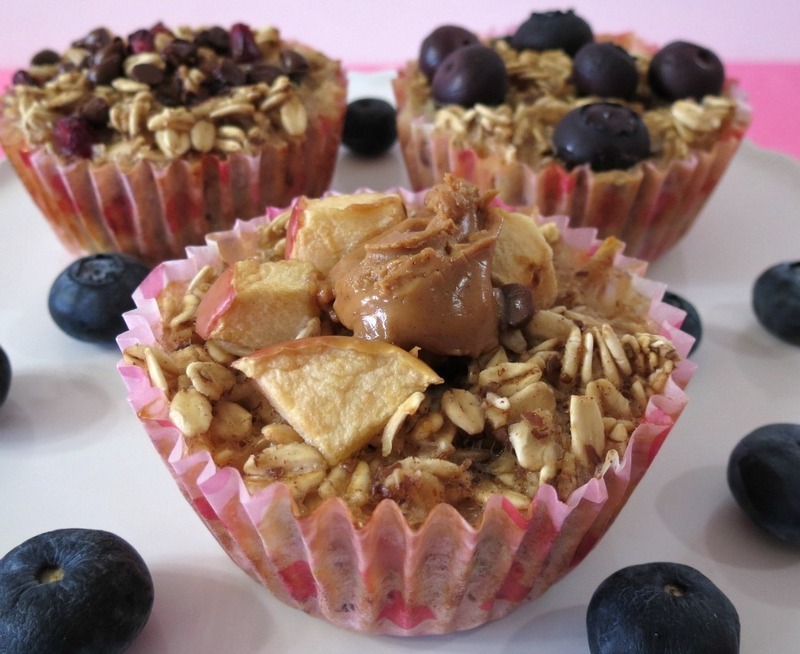 I love your topping ideas, I would definitely top them with some spiced apples – yum! Thanks Kristi!! I love them for a quick breakfast!! I love this idea!! I’d love to have you come and link up at Taste and Tell Thursdays! 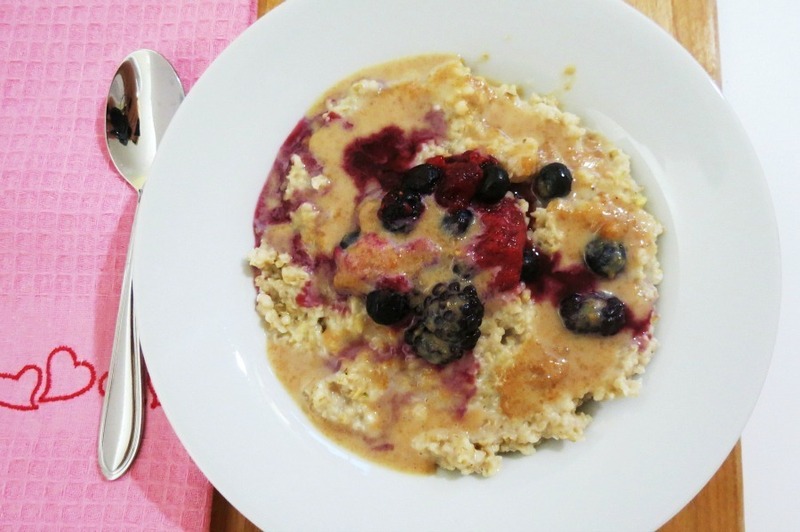 What a fantastic oatmeal round up from your site! I love love love oatmeal so this is an awesome resource. My recipe has been shared almost 5000 times, and has gone viral on Pinterest so the possibility that others have already seen this is high. I appreciate the link back as your ingredients and amounts are quite similar more to my recipe than to the pear and oatmeal you’ve linked to with some substitutions. 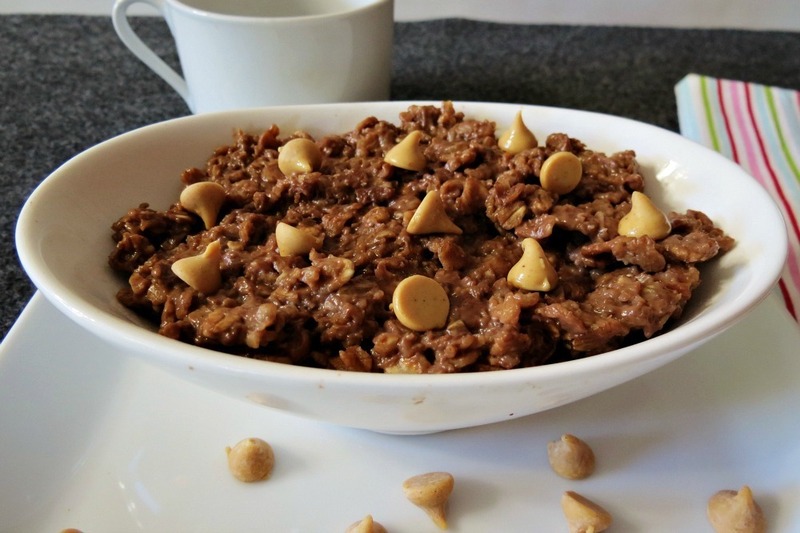 Or even to my low fat adaption using egg whites as you have here: http://www.sugarfreemom.com/recipes/personal-sized-low-fat-protein-baked-oatmeal-no-added-sugar-cholestrol-free/. There’s certainly nothing wrong with adapting a recipe as long as credit goes back to where you were inspired to adapt from.Thanks. Thank you for pinning and tweeting! 🙂 Also, thank you for having me!! Love Gluten Free Fridays! I picked your recipe as one of my favorites from last week’s Gluten Free Fridays link up! Just wanted to let you know I thought your entry was awesome! 🙂 See you this week! This recipe sounds wonderful. but I’d like to use dark brown sugar instead of oatmeal. Any idea how much I should use? I guess I could just substitute and suit it to taste. I’m very glad I stumbled upon this recipe. can’t wait to try it. I wouldn’t use to much, the oatmeal is what makes the parfait. I would say it is trial and error. Enjoy it!! These sound so delish 🙂 what do u think I could sub the syrup for? Honey maybe? Hi Trish, I say go for it. I’m more of a maple syrup person than a honey person, but honey will work great!! let me know how they turn out! Does this come out hard and crunchy …. or a little softer? These look really good. I am going to try them. I have never really cared for oatmeal, but it is so good for you. Maybe this will be the way I will like it. Do you eat them cold or reheat in the microwave? I reheat them in the microwave for about a minute. Or if you like cold oatmeal, you could very well eat them cold. 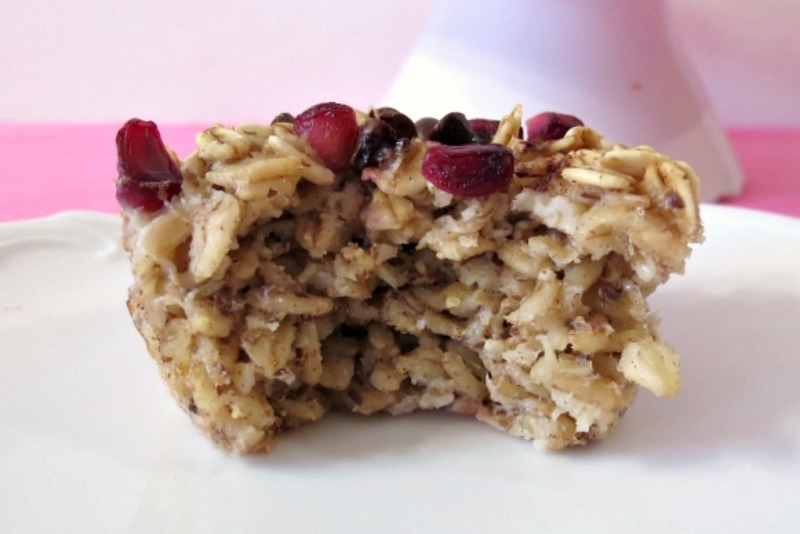 🙂 Oatmeal is so healthy and filling, I think you will like them, especially since you can add whatever fruits, peanut butter ect… that you like. Let me know what you think! I don’t have any flax on hand. I wonder if I could substitute it. I do have some psyllium husks. Idk if that will work. Lol. Awesome! Thanks. I have everything else so ill try these out this weekend!